Whenever a company announces IPO many investors tend to catch the bandwagon and end up investing in it with a hope to make money. However, although IPOs are a good tool to invest in, not all IPOs provide desired returns. 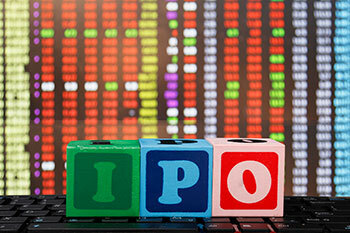 Any IPO listing is an eye-catching proposition for investors. Whenever a company announces IPO many investors tend to catch the bandwagon and end up investing in it with a hope to make money. However, although IPOs are a good tool to invest in, not all IPOs provide desired returns. There have been instances wherein IPOs have failed and many investors have lost their hard earned money. Do consider the below mentioned factors prior to investing in an IPO. First and foremost activity as an investor, you should check upon the background of the company which is getting listed. You need to be versed with nature of business of the company and its operations. Do a thorough evaluation of the company’s financial performance over the past few years and the management decisions the company has taken. Try and understand in depth why the company is considering the IPO option. If possible talk to the management and understand the future roadmap of the company. Gather as much information on how the company intends to utilise the raised capital with regards to expansion, product launch, marketing, debt clear and more. When a company goes for IPO it offers a specific number of shares. Also, the company prior to lPO decides upon the allocation of shares to each category of investors. Although tedious, it is always advisable to read the fine print provided by the company as it offers important details pertaining to the company’s business, summary of finances and relevant statements, capital structure, objects of the issue, management views etc. The prospectus will provide you with all necessary information about the IPO and it will further help you decide if the company is worth investing or not.